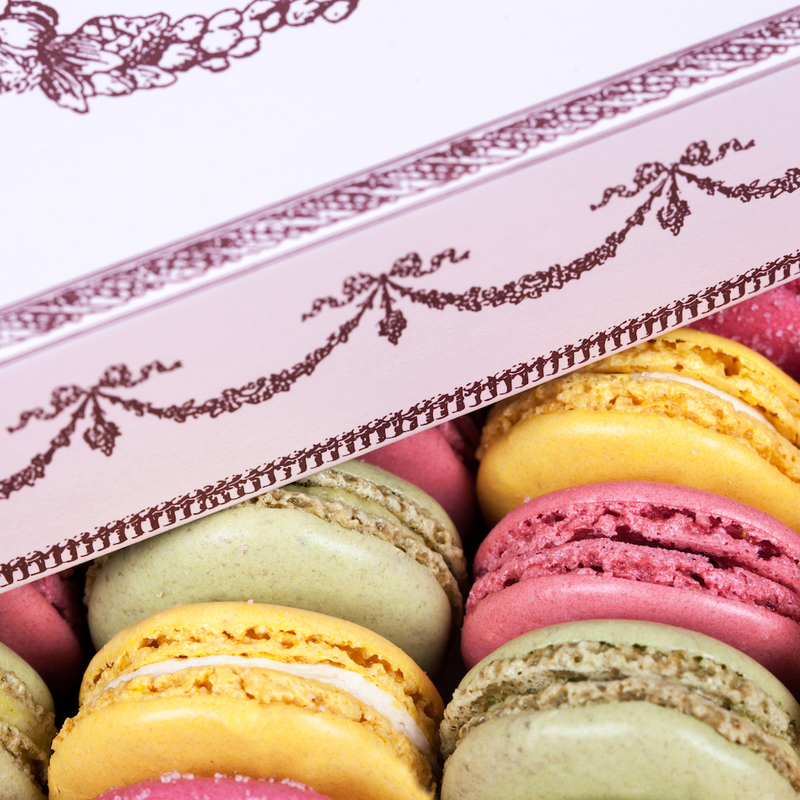 Ladurée macarons are in a class of their own, it’s true. But did you know the brand also has a line of cosmetics, shawls and candles? A legacy dating back 157 years ago, Ladurée began when Louis Ernest Ladurée, a man from the southwest of France, opened a bakery on 16 rue Royale in Paris. Its decor was later inspired by the famous paintings of the Sistine Chapel and Garnier Opera House. Jules Cheret, a famous painter and poster artist of the era, defined the bakery’s graphic presence with the “Pastry Angel” now synonymous with the name. Parisian high society flocked to swanky cafes, and the women longed for more enriched experiences in tune with their everyday lives. With that, the idea of a tea room to welcome the curious was born out of fusing a cafe and French patisserie into one. A concept credited to Ladurée’s wife, Jeanne Souchard, the “salon de thé” became a safe where women were free to simply be. 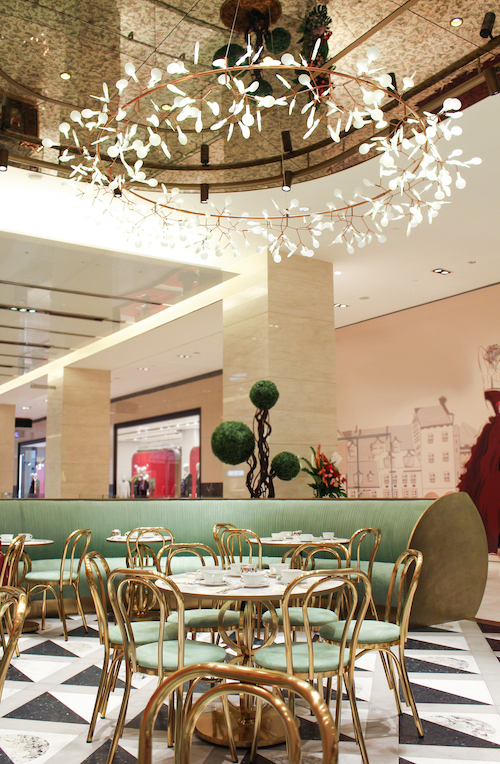 There’s something to think about as you sip on your tea at Ladurée Malaysia. We’re definitely adding Ladurée to our list of favourite high tea haunts in the city. With its angelic aesthetics and gold accents, it’s like stumbling into a pretty pastel world of Parisian opulence — just the vibe Ladurée is going for. The Afternoon Tea (MYR180 for two people) comes with a fine selection of sandwiches, scones with clotted cream and Ladurée jam, lunch-size pastries, macarons, and tea, coffee or hot chocolate. 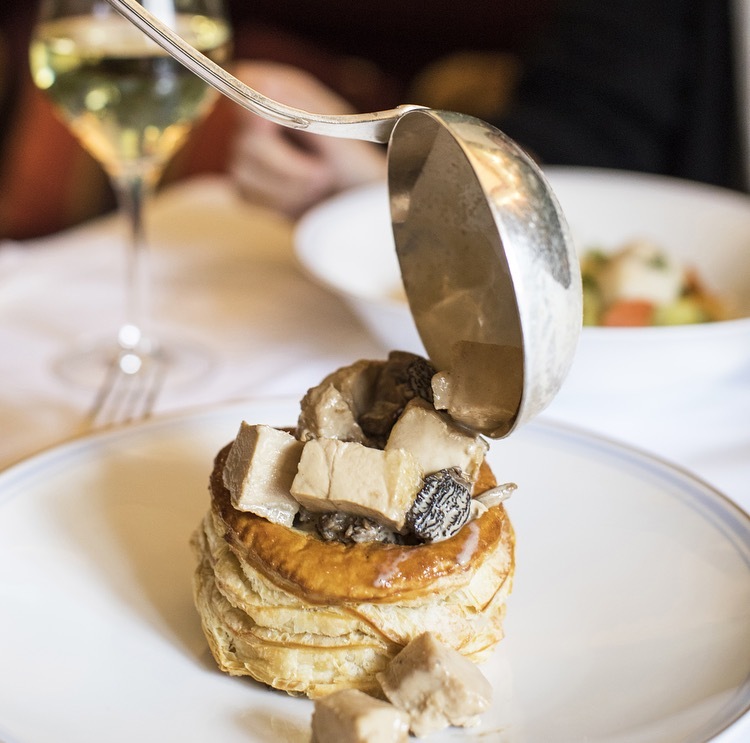 The salon has also unveiled a new menu stretching across starters, salads, main courses and all-time bestselling French toasts. Work your way through the Tokyo Bowl Soba, Ladurée classic Vol au Vent, Saffron Risotto and the Pink Avocado Toast; with beetroot hummus, avocado and radish. Everything on the menu is delicious — and cravings for seconds of the Saffron Risotto will kick in again — but desserts trump the savouries by a mile and it’s no surprise given Ladurée has practically perfected desserts. The Ispahan French toast will have you at first bite. 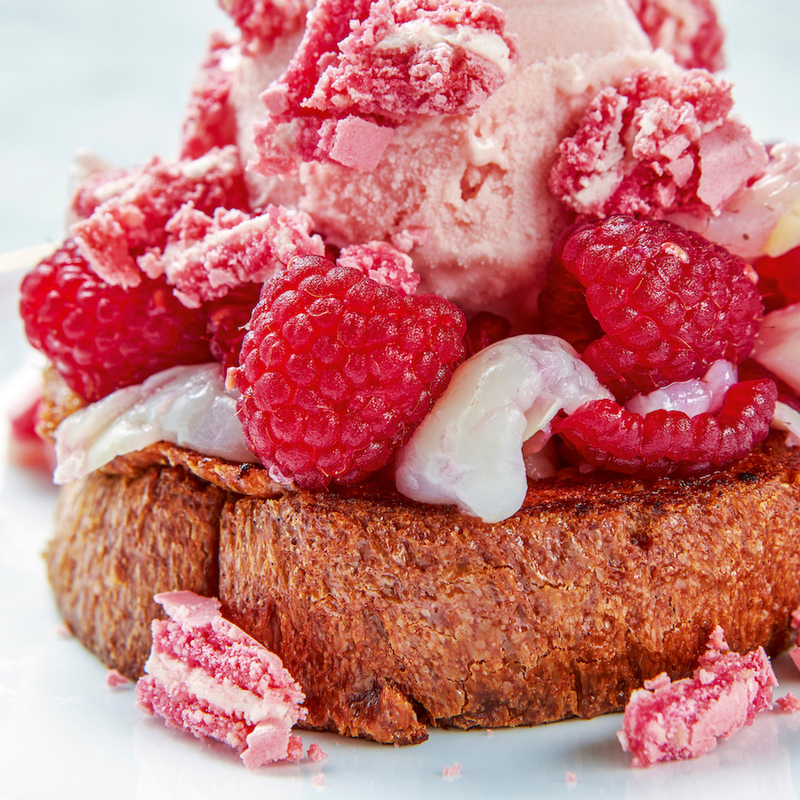 Imagine fresh raspberries, lychee and rose ice cream melting slowly over brioche toast, with the sweetness of rose macron in every bite. 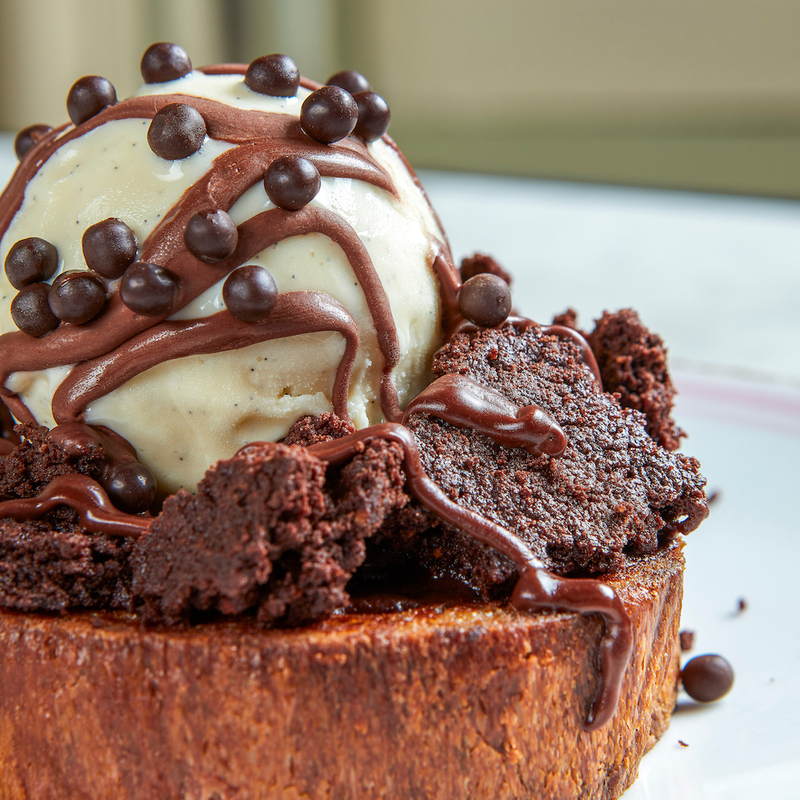 Another new flavour is the Vanilla Cacao French toast, with chocolate crumble, chocolate ganache and vanilla ice cream. We’ll say this, too — the only dessert you’ll regret is the one you didn’t eat.